We are pleased to present Wally Flex – a support accessory for the central vacuum cleaning system! Aesthetic and compact Wally Flex can mounted on the wall in your home will take up little space and the stretched hose will reach up to 4 meters from the place of installation – it is long enough to cover the entire room, and sometimes even adjoining rooms. 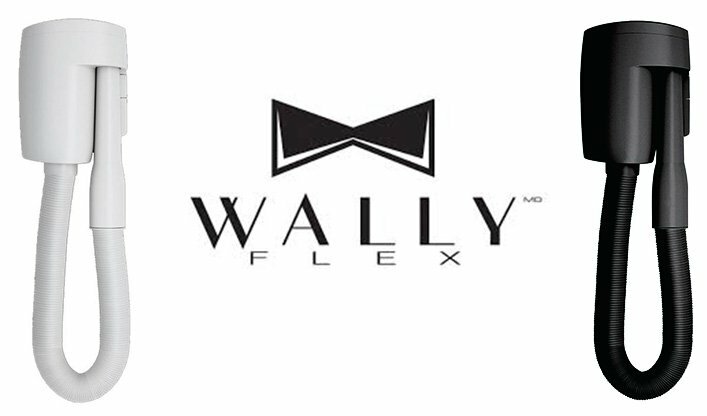 Wally Flex is elegant, easy to use and very practical – it is always at hand where you most often need it. What does the Wally Flex installation look like? The installation of Wally Flex is extremely simple and can be performed by anyone who has minimal assembly skills and can use basic tools. All you need is 15 minutes and you can enjoy your new helper, who will quickly deal with everyday dirt! A pictorial installation guide is provided with the device which will guide you step by step through the assembly process. Wally Flex can be installed anywhere in the house where central vacuum cleaning is connected. Wally Flex is mounted on a rectangular mounting plate, but you can also optionally install it on a square universal board. It should be remembered that Wally Flex should be installed at least 60cm above the cabinet, so as to leave room for the suction hose under the device. Available in modern White or Black to fit any decor.